A tribute show for our dear friend Jimmy Gunn, who we miss very much, and raise some money for a charity in his honor. 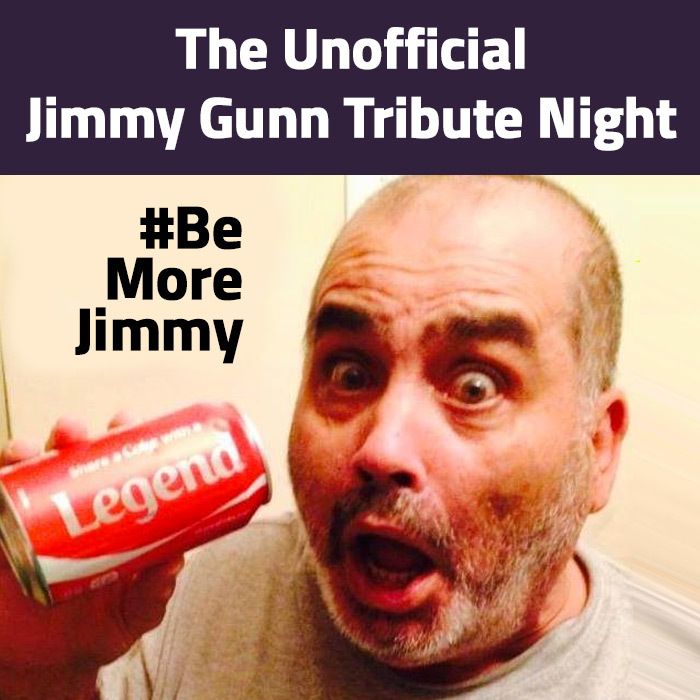 The Unofficial Jimmy Gunn Benefit on November 1st, at Rooster T Feathers in Sunnyvale, with ticket proceeds going to Memorial Sloan Kettering (a breast cancer charity)! Comedians performing that night include Paco Romane, Chad Opitz, Joe Klocek, Conor Kellicut, Jeff Applebaum and Larry Bubbles Brown.